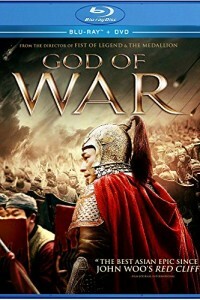 In the God of War DVD, during the 16th century, pirates rule the Chinese coastline, pillaging the small villages and terrorizing the citizens. When maverick leader Commander Yu (martial arts legend Sammo Hung) enlists the help of a sharp young general (Vincent Zhao), they devise a plan to defeat the pirates. A violent clash of wit and weapons will decide who will rule the land in this sweeping historical epic from veteran action director Gordon Chan.